We Are Here… – Do your dream! We’re now in the South West of Portugal near Lagos. Just had a long cycle ride and walk with a picnic exploring the lovely town of Lagos. 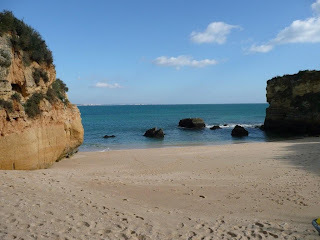 The beaches vary from superb sandy to quiet little coves ideal for skinny dipping. Wind a little too chilly for that mind, but still a lovely place! Heading out tomorrow and wild camping up the coast towards Lisbon.